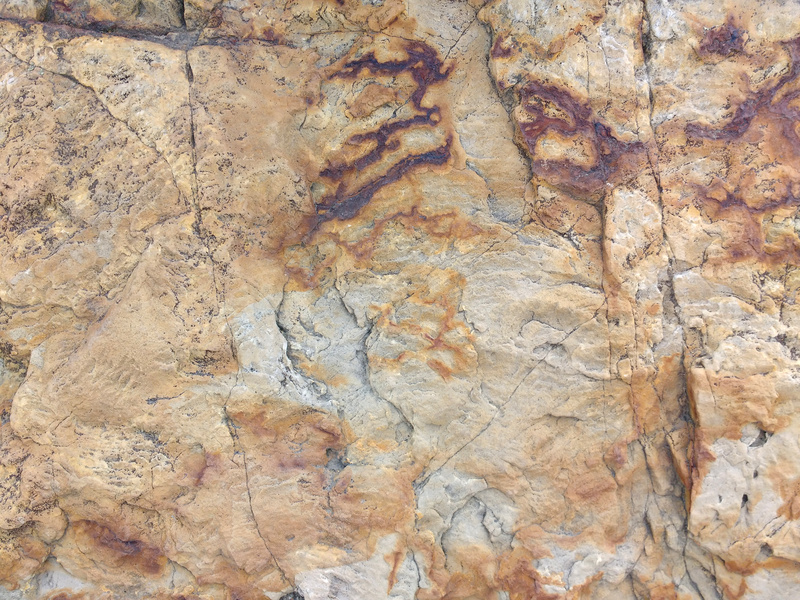 Free high resolution photo of sandstone with rust spots. This picture shows a close up of the surface of a sandstone rock face. Sandstone is a sedimentary rock, and this sample has a lot of iron in it causing rust colors and spots of oxidation. You can also see some cracks in the rock. Great background, wallpaper, or texture image for a website, blog, computer, phone, scrapbooking or Photoshop. Free image for any use.